Volkswagen's new Regional Distribution Centre has been designed in accordance with the automaker's global standards and will manage the company's export business across as part of the first phase of operations. 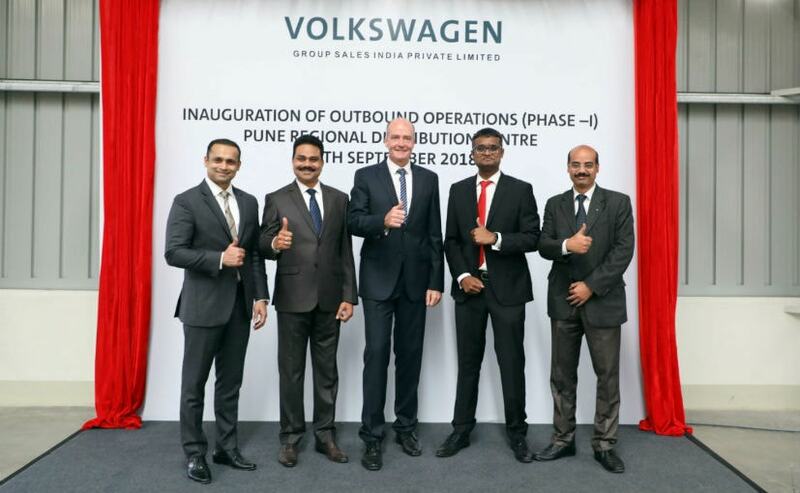 Volkswagen Group has announced its new Regional Distribution Centre (RDC) in Chakan, Pune. This is the automaker's third regional distribution centre in the country and is spread over 25 sq. mt. in the Volkswagen plant premises. The new facility has been designed in accordance with the automaker's global standards and will manage Volkswagen India's export business across the world as part of the first phase of operations. Phase two of the RDC operations will start early next year and will service the company's dealerships across Western India with one-day delivery of genuine parts. The new RDC was inaugurated by Justin Nolte, Director Group After Sales & Vehicle Logistics. Speaking on the occasion, he said, "This newly opened RDC in Maharashtra is an integral part of the network strategy under 'Depot Network Development Project'. It is the third warehouse in India after having PDCs in Bangalore and NCR area. This centre will provide spare parts for all models available in India under the Volkswagen family starting from Volkswagen, Skoda, Audi, Porsche and Lamborghini. There is a positive customer sentiment re-emerging in the market and we pledge to provide our dealers and buyers with the best of our products and services. This inauguration today is a testament to our existing and potential customers in India. Our relationship with our customers will only strengthen from hereon"
Volkswagen's Chakan-based RDC will also be supplying parts to its parts distribution centres (PDC) located in north and south of India. The new facility, VW says, will significantly contribute in reducing current lead-time in providing parts and components to dealers across the states of Maharashtra, Gujarat, Rajasthan and Madhya Pradesh. The move will not only the VW brand but will also sub-brands including Skoda, Porsche, and Audi.